"The win is no less than a fairytale. This feeling can't be described," said the Vidarbha captain. Indore: Captain Faiz Fazal on Monday termed Vidarbha's triumphal march to their maiden Ranji Trophy as his career's "biggest achievement", bigger than representing India in a lone ODI against Zimbabwe. 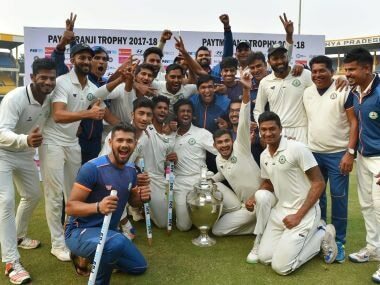 Vidarbha on Monday won India's premier domestic tournament with a convincing nine-wicket victory over Delhi, scripting a new chapter in the region's cricketing history. Fazal was a part of the second-string Indian team that toured Zimbabwe in 2016 and opened the innings in his career's only international game. The 32-year-old left-handed batsman scored a half-century in the ODI. "Winning the Ranji Trophy would be the biggest achievement of my career. I know playing for India was a big high for me because as an individual, you get to achieve that. I have always been a team-man. Winning the trophy for the team has been a big thing." "I have been leading Vidarbha since my age-group cricket days. And to lead a Ranji team is not an easy thing," an elated Fazal said. Vidarbha achieved victory with the full final day to spare, clearly showing the team's dominance in its biggest game of all time. "The win is no less than a fairytale. This feeling can't be described. As a cricketer, we have always dreamed of winning Ranji Trophy. It is the biggest thing in our career. It happened today, and I am happy. For now, we are on seventh heaven. But again, we have to be down to earth and start our work tomorrow." While individual brilliance from the likes of young pacer Rajneesh Gurbani, Sanjay Ramaswamy, Wasim Jaffer and Akshay Wakhare helped a great deal, the mantra behind Vidarbha's success lay in collective effort. "From day one, I thought we can win it. I was in England before the season, and when I came to Nagpur and met Chandu Sir, the first thing I wanted to know was how to win the trophy. Then the process started. The first game against Punjab was the turning point." "I wanted the whole team to participate in the Irani Cup." Fazal acknowledged the support he got from coach Chandrakant Pandit and the seasoned Wasim Jaffer. "I let the side be free. This win has not been easy. Behind this, Chandu sir comes in, Jaffer bhai, Karn (Sharma), Ganesh (Satish) played huge role. Otherwise it would have not been possible." Pandit, who has won multiple Ranji titles, praised his players and said they listened to his instructions and executed them in the field. "We have been following our routine and that's the best part, we have done. All credit goes to the players as they have put in the hard work. I am very happy with the way they have respected me, and the players have never ignored the system we have followed. That is one of the major things." "The team is together, they have started enjoying the sessions. We stayed together all the time and there were certain kinds of activities in the team." A hard task master, the coach will however not impose restrictions on celebrating the victory. Vidarbha's maiden title came after playing over 250 matches, spanning five decades. "They deserve to celebrate. They were waiting for this particular day. Each and every player, the captain must be excited to celebrate and they should. There is no restriction. The VCA chief has also told me that I should not restrict them from celebrating. They can do whatever they want. "They have worked hard and Prashant (VCA vice-president Vaidya) has been a big support to us. I am thankful to both of them. The groundsmen at the VCA also played a great role because without them we cannot perform." "The way they have been preparing the pitches, they have given us nets every time we asked. They also deserve to celebrate." Gurbani, who became only the second bowler after Tamil Nadu's Kalyanasundaram to claim a hat-trick in a Ranji Trophy final, was named the Man of the Match. Gurbani said, "Changes were a lot to do with the mind. Right from the first game, we had in the back of our mind that we need to win the trophy, and we have finally done that on a special day. They (Pandit and bowling coach Subroto Banerjee) are the two main persons because of whom we have done so well." "A big thank you to Chandrakant sir who has made technical changes in my bowling. Same with Subroto sir as well, when he is around, I have nothing to worry about." 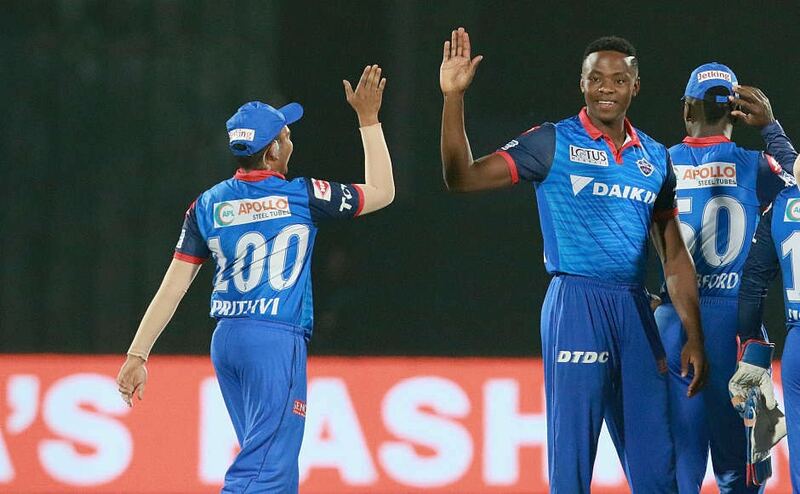 Delhi skipper Rishabh Pant admitted they did not play to their potential. "As I said the team that plays good cricket wins. Unfortunately, it was a bad game for us in the final. Throughout the season we have played good cricket, but in the final we were bad. It has been a great experience (leading the team), thanks to the DDCA and Gautam (Gambhir) bhaiyya, Pant said.